Description: Property sold in its as-is, where-is condition. Seller does not prorate taxes. Buyer pays all closing costs including but not limited to any and all transfer taxes, title, legal, and recording fees. 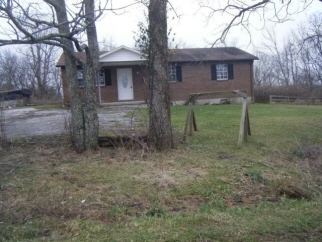 3 bedroom, 1 bath home in owenton, ky. Home will need new plumbing, repairs to drywall, new appliances as well as other repairs and updates before move in ready. Located in rural setting with privacy. Great potential on a large lot. Data believed correct but not guaranteed. Buyer to verify data prior to offer. Agents read agent remarks.